New England is mourning the passing of President George H.W. Bush, who had strong ties to Massachusetts and across New England. The 41st president died Friday night at the age of 94. Bush was born in Milton, Massachusetts, before moving with his family to Connecticut. 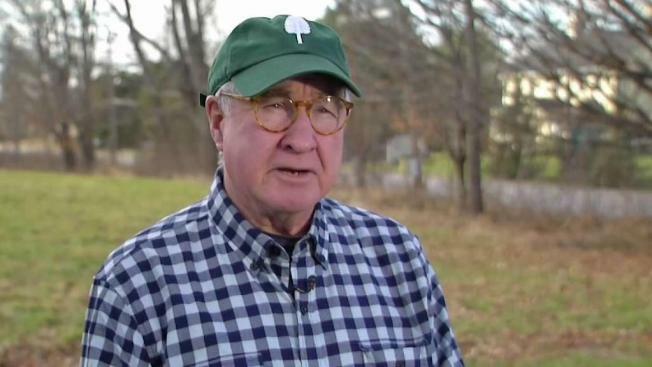 He returned to the Bay State as a teen-ager to continue his education at Phillips Academy in Andover, and later in life spent much of his time at the family compound in Kennebunkport, Maine. The flag at the Bush family compound was flying at half staff this morning. President Bush had a special bond with the Maine town, where it became an escape at times from the heat of Washington, D.C.
Bush was a World War II naval pilot who survived being shot down over the Pacific, led the CIA and spent eight years as vice president before taking the Oval Office. He was the father of the 43rd president, George W. Bush. His wife of 73 years, Barbara Bush, who used her time as the first lady to advocate for literacy, died on April 17. Former President George W. Bush issued the following statement from the George W. Bush Presidential Library and Museum: "Jeb, Neil, Marvin, Doro, and I are saddened that after 94 remarkable years, our dear Dad has died. George H.W. Bush was a man of the highest character and the best Dad a son or daughter could ask for. The entire Bush family is deeply grateful for 41's life and love, for the compassion of those who have cared and prayed for Dad, and for the condolences of our friends and fellow citizens." "I already miss the greatest human being that I will ever know. Love you Dad!" said his son and former Florida Gov. Jeb Bush on Twitter. The Boston Red Sox tweeted Saturday morning, offering their condolences to the Bush family. "Today our thoughts and prayers go out to the Bush family. It's an honor to have known President George H.W. Bush. We're truly grateful for his long life of service," the tweet read. Today our thoughts and prayers go out to the Bush family. Officials from across the region and beyond also offered condolences to the Bush family on the passing of the former president. In New Hampshire, Gov. Chris Sununu offered a statement on the loss of President Bush. “President George H.W. Bush was a friend to so many of us and his loss will undoubtedly be felt deeply across the Granite State. Quick with advice and always caring, the 41st President of the United States was a statesmen, a role model, and an American hero,” he wrote. President Trump wrote on Twitter: "President George H.W. Bush led a long, successful and beautiful life. Whenever I was with him I saw his absolute joy for life and true pride in his family. His accomplishments were great from beginning to end. He was a truly wonderful man and will be missed by all!" Former President Barack Obama: "America has lost a patriot and humble servant in George Herbert Walker Bush. While our hearts are heavy today, they are also filled with gratitude. Our thoughts are with the entire Bush family tonight – and all who were inspired by George and Barbara’s example." Former President Clinton: "Hillary and I mourn the passing of President George H. W. Bush, and give thanks for his great long life of service, love and friendship. I am grateful for every minute I spent with him and will always hold our friendship as one of my life’s greatest gifts." Massachusetts Gov. Charlie Baker added on Twitter: "
George H. W. Bush was a decent, honorable man who served this country in many capacities for decades. Our thoughts and prayers are with his family. George H. W. Bush was a decent, honorable man who served this country in many capacities for decades. Our thoughts and prayers are with his family." UN Secretary-General Antonio Guterres said in a statement: "Across the years I was consistently impressed by his compassion, instinct for moderation and commitment to public service. At this time of loss, I extend my heartfelt condolences to his family, friends and the Government and people of the United States." Wife of the late U.S. Sen. John McCain tweeted: "I am deeply saddened by the passing of President George H Bush. A member of the greatest generation and a real hero in his right. A true friend to the entire McCain family. God bless." Maine Gov. Paul R. LePage issued the following statement this morning: "President Bush has been an unwavering supporter of Maine and a vibrant part of the Kennebunkport community for decades. We shall keep the Bush family in our hearts at this difficult time. On behalf of the people of Maine, we send our deepest condolences. Know that President Bush's life and legacy of public service will be an eternal source of hope and inspiration for the people of Maine and around the world," Governor LePage said. "America has lost a true gentle-man." U.S. Sen. Elizabeth Warren of Massachusetts tweeted: "George H.W. Bush was an American patriot who lived his life and served our country with dignity. From joining the Navy during WWII to the presidency, his devotion to public service was unmatched. Bruce and I send our heartfelt condolences to his family."